In May, students from Bloom Elementary School took a trip in a 15-passenger white limousine. It wasn’t to a field trip or even a dance but to a whole new journey to help them prepare for the future. One by one, they filed out of the stretch limo, confident and prepared for what was about to happen next. As they walked into the doors at Bellarmine University, they learned a life skill that will help them in middle school and beyond. “Although I have grown a lot in both innovation and confidence, I still have room to grow in citizenship,” said fifth-grade student Gracie. She is one of dozens of fifth graders from Bloom who presented what’s known as their “defense” to a panel at Bellarmine. The purpose of the students’ defense was to demonstrate all they have learned and that they are ready to move on to sixth grade. This is not unique to Bloom; soon every fifth, eighth, and twelfth grader in JCPS will be doing the same thing at the end of the school year. It is a part of the district’s new plan to take learning to the next level and redefine success for students. It’s called the Backpack of Success Skills, and it will help reshape the way your kids learn. Students will have access to a virtual backpack through Google, where they can place their projects and videos to support what they have learned throughout their Success Skill development. There are 5 Success Skills in the Graduate Profile—being a prepared and resilient learner, globally and culturally competent citizen, emerging innovator, effective communicator, and productive collaborator—as evidence of their accomplishments. This is an ambitious and unique plan that other districts are watching and could look to model in the future. “Even if they have straight A’s, are they really ready? And so those power skills we are looking at—confidence, innovation—can they eloquently tell they have worked on them?” said Bloom Elementary Principal Jack Jacobs. “Some of the students are doing cartwheels that tie into their introduction. Some are playing musical instruments, and some are using quotes or poems that they have written.” Jacobs says those power skills are something the community is looking for, and those skills will be reinforced at all grade levels starting this school year. For all those who have said testing isn’t everything, the district is listening and working to help your kids achieve in additional ways. Bloom fifth grader Amira was able to show collaboration, communication, and citizenship in a way that spoke to her. “We did a bunch of skits where you had two people who would act like they had a conflict and try to resolve it,” said Amira. Engaging every student, every day, in meaningful learning is the goal. This is a chance for students to fill their virtual backpack and go on a whole new adventure through the classroom. A digital platform for students to enter pictures, video and a written reflection of what they have learned in five key areas—emerging innovator, productive collaborator, effective communicator, globally and culturally competent citizen, and prepared and resilient learner. Where is the digital backpack? It’s located on Google Drive. 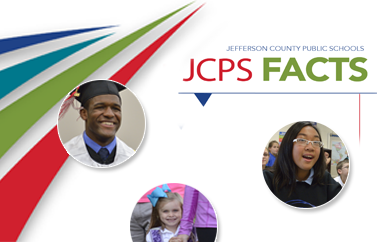 Every student in the district will have access to it through their JCPS Google account at school. Parents should communicate with their child’s teacher to find out how the school will customize the curriculum to meet the needs of the students. How will this impact my child? Students will collect evidence each year for each of the five Success Skills. Then, in fifth, eighth, and twelfth grade, each will have to defend their growth and readiness in each of the five Success Skills before a panel using those pictures, videos or written reflection he or she has collected. Will my child still have traditional classes like language arts, math, science, and social studies? Yes, these core subjects will still be at the center of your child’s education. However, our goal is for students to learn through meaningful experiences that require them not only to learn essential content, but also to apply it in ways that are interesting. Students will still take part in statewide testing at the end of the school year. What happens if a child doesn’t display readiness before the panel? 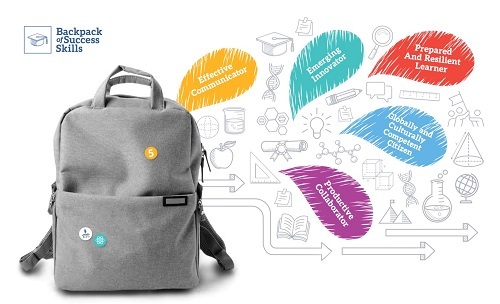 School staff will monitor the student’s backpack to find areas that need to be addressed and will come up with a plan to ensure the student’s progress. Ideally, a student will not defend until we know he or she is prepared to do this successfully. However, schools are responsible for making sure students have additional opportunities to defend as needed. Our goal is for every student to be well equipped for success as he/she transitions to the next level. This is a chance to give all students engaging learning experiences at every school that will enhance reading and math skills while also preparing them to be good communicators, problem solvers, collaborators and much more!